Termites are a national problem. These are very dangerous for your home because they can destroy your furniture and wooden structures. Sometimes, you don’t even know whether you have termites in your home or not until you start to see the real damage they had done to your furniture. If you want to ensure the safety of your wooden things, then the best way is to protect your home from termite infestation. Because if they get inside your house, then it becomes really hard to get rid of them. Therefore, you should check the warning signs before the real infestation take place. If you discover their presence, then you call an exterminator or you can kill termites by home remedies. In this article, I have shared most common warning signs which you should look into your house, so that you won’t face any bigger problem in future. These are the common signs which you can look to find out whether you’ve any termite infestation growing. Termites prefer to live in the dark and humid environment, that’s why you won’t find them eating on the surface of the wood. If they eat on the surface, you already have seen them. In fact, wood’s surface looks smooth and perfect from above, like there’s nothing wrong, even if termites have fully damaged it from the inside. They don’t only eat wood; they make it their home and make it hollow. Therefore, when on tapping on wood, if it sounds hollow means termites are eating it. If you find any leftover termite wings near the windows or doors, then definitely you have termites in your home. When termites swarm out of their nests so that they can start a new colony, they fly, only once in their life and then they discard their wings. When termites feed on the wood from the inside, and they reach the surface, the paint of the surface begins to bubble. Walls might also crack in ways which is not natural; this is a clear sign of termite infestation. 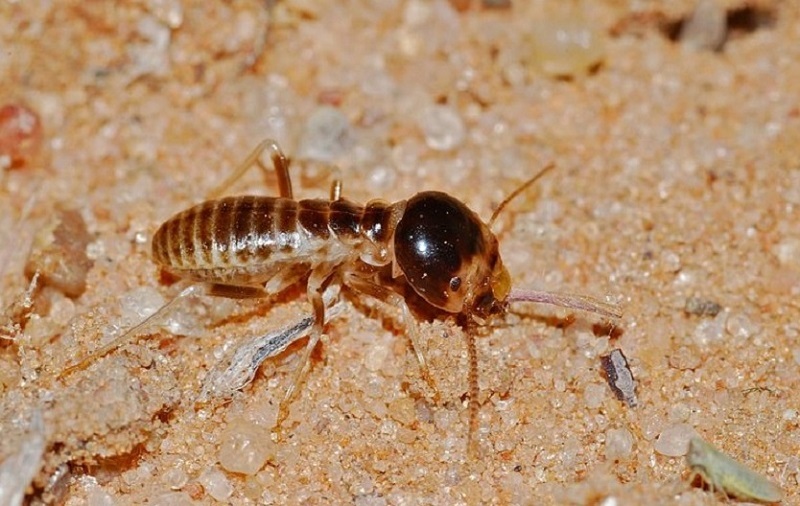 Some termite species like subterranean build mud tubes on the surface, like a home’s foundation, which will provide them moisture when they will be looking for food. If you find these mud tubes, then probably, termites are present. When termites eat wood, they produce wood-colored droppings, called frass. If you see frass coming from the wooden furniture or walls then it’s a clear sign that termites are present in your house, and there is a serious requirement of taking some steps against these little pests. Unfortunately, if you don’t see any of these signs, it doesn’t mean they are not there. These are not the only signs, but these are the most common. But, if you see any of these in your home, then don’t wait, you’ve termite infestation and you need to take action as soon as possible.